Denys Maksymchuk was born on 30th of december 1998 in Ukraine, in a little village of the region Ivano-Frankivsk. At the age of 7, after winning his first piano competition, he heard about a music school for specially gifted children in Lviv. His wish to study there was fulfilled at the age of 10, as he entered the school Solomija Krusheljnitckaya, in the class of Prof. T. Alexandrova. The family moved to Lviv where Denys’s musical education became the main concern. In 2013 he is third prize winner at the Chopin Youth Piano Competition in Warsaw and first prize winner at the « Stankovich Piano Competition » in Kiev, the « Chamber music competition Starchenko » and the « Na rodine Prokofieva competition» in Donetsk. 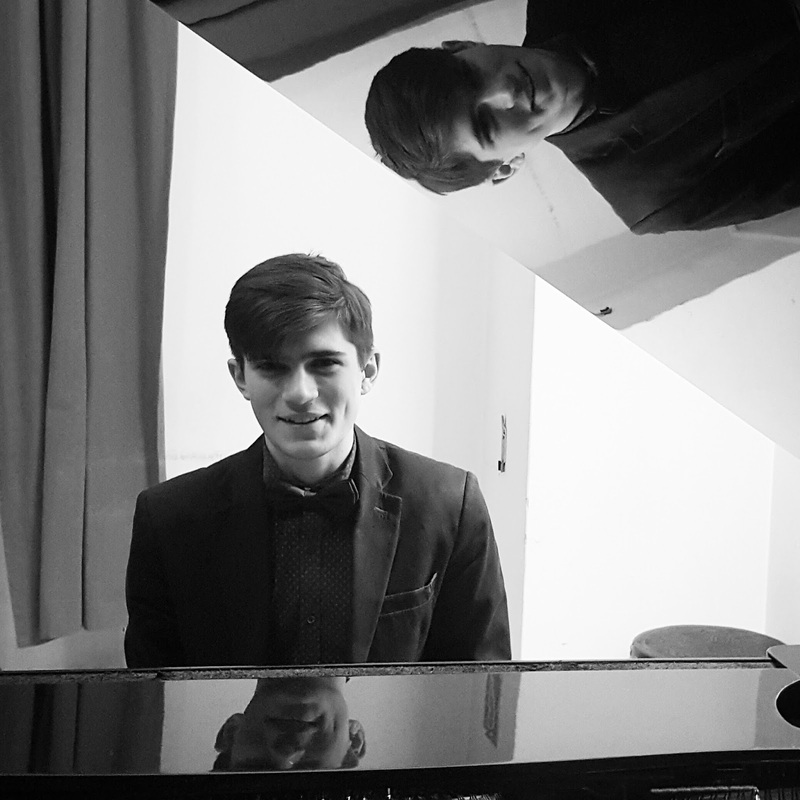 In 2014, he is twice first prize winner in both categories solo recital and concerto with orchestra at the competition « Accords of Chortyzja » in Zaporozhiye, Ukraine, and in 2015, once again first prize winner at an international competition of young talents in Prague. At the age of 17 he graduates from the school and moves to Vienna, Austria, to study at the Prayner Konservatorium für Musik und Dramatische Kunst in the class of Prof. Tamara Atschba.